It’s absolutely amazing how The Bead Movement has changed my life. It’s a continuous transformation into becoming my best self. I initially thought it would be a fun thing to do, something that would hold me in check so I don’t forget to sincerely live every day of my life. It’s been that, but a whole lot more. Most of all it’s been a way to find my path. Before, I professionally always went the conventional route; the way I thought and had heard this industry operates. Now, I have realized there is just as many ways as there are people, and by taking someone else’s route won’t lead me where I want to go. This year I have stepped up, but most of all, I have stepped out of the box. I am taking my route. Personally I have gone from trying to live every day as fully as I possibly could, to find contentment, to live my days with meaning. I’ve stopped to view my life from a ego point of view, to instead try and see it through the eyes of how I can best live my purpose, and to not only serve the people around me, but also people in a wider sense. Before I used to think that my purpose was to tell stories, and through those stories influence the world I live in. Now, it’s not enough, I need to do more. 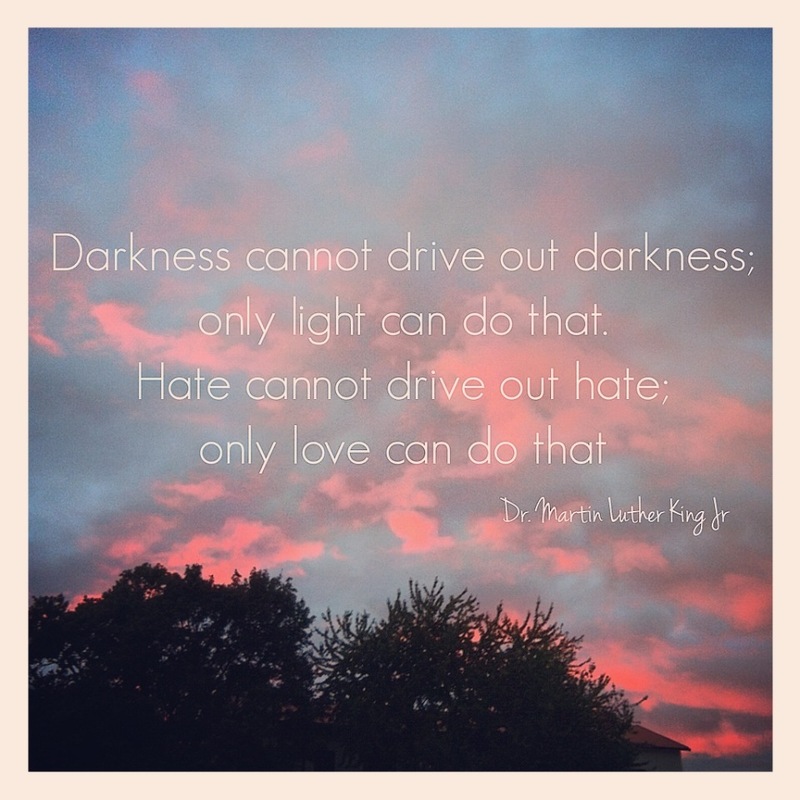 I want to be someone who brings light and love to the world, just like Martin Luther King Jr calls for, not only through my stories but also through the way I live my life. I might seem overly pretentious and goody two shoes, but at the core of it all, that is what I believe I am here to bring, along with every other citizen in this world. It’s just a matter of not being too comfortable, and to answer the call.